Insect foggers can be categorized into two large categories: ULV foggers (cold foggers) and thermal foggers. You may have come across one or both of these terms when browsing for insect fogger products. While the purpose of both types of fogger is the same, they actually use pretty different fogging techniques and require different types of fogging liquids. Thermal foggers, as the name suggests, use heat in the fogging process. Thermal foggers use this heat to vaporize a fogging solution and spray it out in the form of fog. Thermal foggers are equipped with a heat barrel that is preheated to high temperatures using either propane gas or electricity, depending on the type of fogger. The liquid fogging solution is then is pumped into the thermal fogger’s heat barrel where it is instantly vaporized. This allows the fogger to produce a large amount of extremely small particles which altogether form a dense cloud of fog. As mentioned, there are two types of thermal foggers: gas and electric. They are pretty similar when it comes to appearance, but gas foggers require a gas cylinder (usually propane) to be mounted to the fogger. Electric foggers, on the other hand, need to be plugged into an electric outlet. 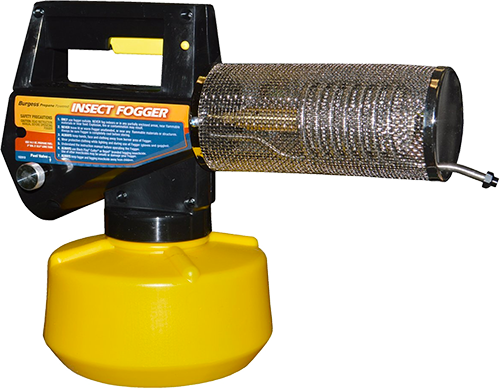 Gas powered foggers are cordless, fully portable, and can be used anywhere while electric foggers are subject to the length of their electric cable or extension cord. Gas foggers have larger operational costs because when the gas cylinder empties, it will need to be changed and will cost more than the electricity an electric fogger consumes. The opposite of a thermal fogger is an ultra-low volume (ULV) fogger, a cold fogger which operates using a distinct fogging technique. To produce a fog with small droplets, ULV foggers are equipped with motors that produce a high power, low-pressure air stream. As with thermal foggers, the fogging solution is stored in a tank and the fogging liquid is pumped out of the tank when the fogger is in operation. The solution is then pumped into a special nozzle that is designed to cause the airflow to move in a swirling motion. The high air pressure produced by the motor helps to spray the fogging liquid through the nozzle and separate it into tiny particles. The liquid solution is sprayed out of the nozzle in the form of a fog or fine mist. ULV foggers mostly use electricity to power an electric motor. The particles size that ULV foggers produce can be adjusted, allowing you to use the fogger for different applications. Also, because ULV foggers use cold fogging techniques and are not heated to high temperatures, they can be used both indoors and outdoors. The particles produced by thermal and cold foggers will vary in size based on the model of the fogger. 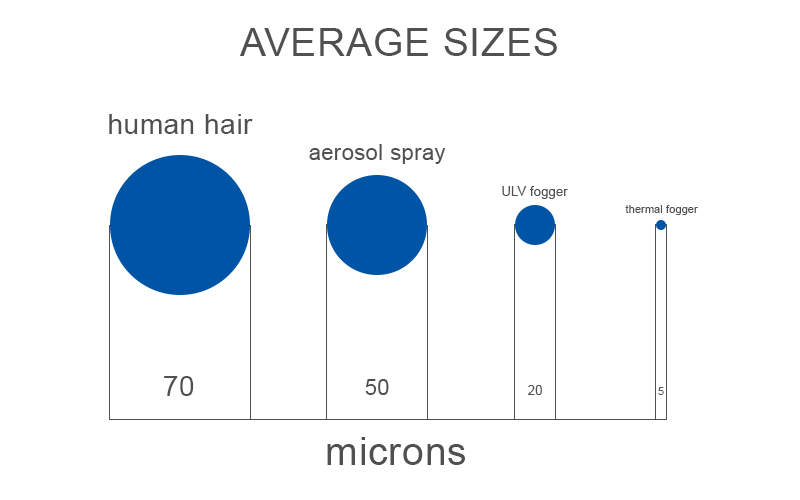 Thermal foggers will generally produce particles that are smaller in size, averaging 0.5-10 microns, while ULV foggers will produce particles that are a bit larger in size, 5-30 microns on average. The heating technique that thermal foggers use allows them to produce extremely tiny particles which can penetrate very small areas both indoors and outdoors. Insecticide or other solutions are vaporized to produce a dense, thick cloud of fog. The fog produced by a thermal fogger is easily visible, which, in turn, allows the direction of the fog to be controlled more easily. While a thermal fogger can produce extremely small particles, their size is inconsistent. This means that the particles produced will vary dramatically from 0.5 to 30 microns in size. Different ULV foggers will produce different sized droplets. ULV foggers can produce a very consistent particle size which can be varied by adjusting the flow rate. This is especially useful if you need to fog different areas or to use the fogger for various purposes, such as for getting rid of mold, removing unpleasant odors, or killing insects and other outdoor pests. ULV foggers also need less diluent so they can produce a more concentrated fogging solution. This, in turn, can make some types of chemicals cheaper to use. Thermal and ULV foggers have similar uses in many aspects. Both devices are generally foggers or misters that are used to spray either a water- or oil-based fogging solution. Both types of foggers are used for insect control, odor, and mold control applications in indoor areas as well as to disinfect, to apply pesticides, to getting rid of pests in warehouses, and for other similar uses. Mosquito and insect control: The small droplets that a thermal fogger produces are good for controlling mosquitoes and other smaller insects. For mosquito control, the best droplet size is from 5-20 microns. Most thermal foggers will produce particles within this range. Controlled outdoor fogging: As the fog that a thermal fogger produces is thick and easily visible, you can control the direction of fogging with more ease. 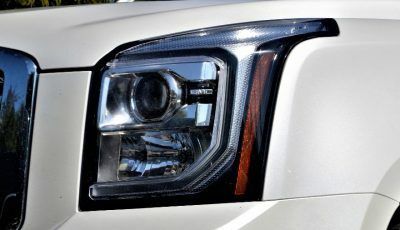 This will allow you to better control your outdoor fogging as most ULV fogging devices produce a barely visible fog. Fogging obstructed areas: Due to the small particle size, the fog produced by a thermal fogger can penetrate very small places such as gaps in floors, cracks in walls, and similar places indoors. It can also work its way into thick bushes, long grass, high treetops, and other hard to reach places outdoors. In any indoor place: As mentioned above, ULV foggers use a cold fogging technique, so they are safe to use indoors. For odor control and disinfecting: ULV foggers are often used to disinfectant houses and large warehouses as well as to control unpleasant odors in such areas. ULV foggers can be left to work automatically and there is no need for someone to operate the fogger at all times as is the case with thermal foggers. To get rid of mold: ULV foggers can also be used with special chemicals to get rid of mold in indoor areas. On plants and greenhouses: Because ULV foggers allow you to adjust the particle size, they can also be used outdoors or in greenhouses to spray different solutions on plants. Indoor and outdoor pest control: ULV foggers are the best pest control method for indoor areas. They can also be used outdoors to control mosquitoes, for example. Even though ULV foggers cannot produce as small of particles as thermal foggers, some ULV foggers can produce particles in the 5-20 micron range, which is effective for mosquito control. One disadvantage of using a ULV fogger outdoors is that they produce an almost invisible fog, so it will be harder to control the direction of the fog. Can I use outdoor cold fogging solution ( to be mixed in water) in a sprayer(as fogging machines are very expensive) What results will I get. 1) A regular sprayer cannot atomize fogging solution in such small particles as ULV fogger so it won’t cover as much area and won’t be able to penetrate smaller gaps and holes because of the larger particle size. 2) Most cold ULV foggers have pretty powerful electric motors so they can output solution in much greater distances than hand sprayers, but this won’t be a problem if you need to fog a small area. Other than that, you can use a cold fogging solution in a sprayer. Thanks for the prompt reply and very helpful answer.Please let me know what is the difference in solution /contents used for outdoor cold fogging vs indoor cold fogging. Glad that my previous answer was useful to you! As for your question, I think that the main difference between outdoor and indoors cold fogging solutions is their content. If you want to fog an indoors space chances are that it will be your home or a place where you spend a lot of time so you should look for a solution that is more natural and isn’t as potent, because it will be safer for you as well as it will be easier to air out the space after fogging. 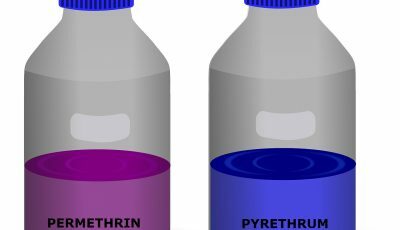 A good option is Pyrethin based solution diluted with water. But for an outdoors space a solution you can either simply use a Pyrethrin based solution, because it is natural enough so that you can spend time in the sprayed area soon after fogging but it will still kill all of the mosquitoes, or really any other solution that is meant for cold fogging in outdoors environment, because outside you don’t have to worry too much about residue or airing out the space. Thanks for the info! Really very helpful. 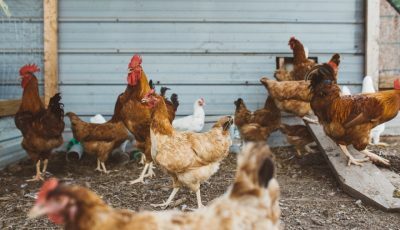 I am looking to use a fogger to help control or get rid of bird mites in my home. I am looking at Kleen Green Natural Enzyme as it is not toxic. Spraying the entire house using a hand spray bottle is not practical. However, the Kleen Green is only effective while wet and leaves no residual effect. Would it come out of the fogger wet enough to help? I would appreciate some advise in this. Would using a humidifier be a better solution? I would rather use a fogger if this would work. Thank you. I agree that spraying the whole house with the Kleen Green Natural Enzyme using a hand sprayer bottle isn’t practical, however, since the label says that the product needs to be applied wet and then wiped off, I am not sure that using a fogger would be your best course of action. I would suggest getting a manual pump sprayer, like this one for example, that will still distribute the product wet, but at higher rates than regular spray bottles, so it will be much easier for you to spray your whole house with the product in small amount of time. I’ve been researching thermal foggers for use around my home this spring and summer for mosquitos, biting gnats and biting flies. I live on about 30 acres surrounded partially by a swamp. I anticipate fogging about a 5 to 10 acre area with the fogger on the back of a utility vehicle. I will be fogging around my home and a three acre pond that I occasionally fish and we eat the fish. So I need something efficient and environmentally safe. I am looking at several models/brands in the 2-3 thousand dollar range(hopefully 2). First of all, lets start with the pond. In general, there is no difference whether you use a water or oil based product when it comes to fish, what matters is the active substance used in the solution, some of these substances can be very harmful to fish while others are less. The important thing is to always read the label and gather as much information as possible of the insecticide your are going to use. In general, insecticides advertised as bio or natural are going to be less harmful to fish. 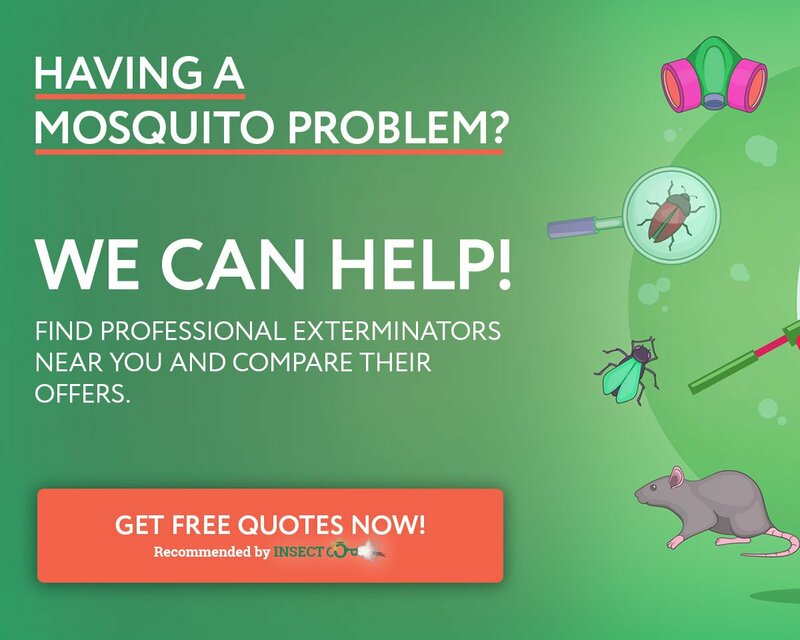 Another thing when comparing oil and water based solutions is that oil insecticides are going to provide a longer effect, because they last for much longer time on the fogged surface than water based solutions, which is great for mosquito control. Oil based solutions can also be applied in more windy conditions. However, when we consider safety of the environment, water based products are better because they evaporate faster, which, for example, is better for fish, because they stay in contact with the chemical for much less time. When talking about foggers there are few great options available, ones that can output water based solutions, oil based, or even both. You have done a good research to choose thermal foggers, because practically all of them can output particles at 5-30 micron size, which is the most effective for insect control. From companies, I would suggest either VectorFog or Curtis Dyna-Fog, both of these make highest quality thermal foggers for large area fogging. Ratio of cedarwood oil and hydrated silica use in fogger machine to rid off from mold. Can I use thermal fogger to make fog of cedarwood oil and hydrated silica or cedarwood oil and ethyl lactate. Pls suggest. Your advice will help to make one house mold free. Well it depends on what type of solution you are using. If you are referring to a store bought product like the Wondercide Natural Indoor Pest Control Spray for example then you should check the label of that products and see what it says, since it should be stated there what type of application this product is suitable for (in the case of the previously mentioned Wondercide spray, the label of it clearly says that it is suitable for spray or fog application). But if you are mixing the ingredients yourself, then you need to see if your fogger is suitable for them. As long as your fogger can be used with oil based solutions, since you are mixing cedarwood oil with other ingredients, it should be fine to use the solution with you fogger machine to make your house mold free. If you have any more questions, don’t hesitate to use the contact form on the website to contact me directly! Hello, quite interesting questions and answers, i’m to work on a vessel (ship) and also industrial office spaces. I am buying ULV Cold fog for the vessels/plateform and a thermal fog machine for out door uses. I reside in tropical countries (Nigeria, Africa). 1. 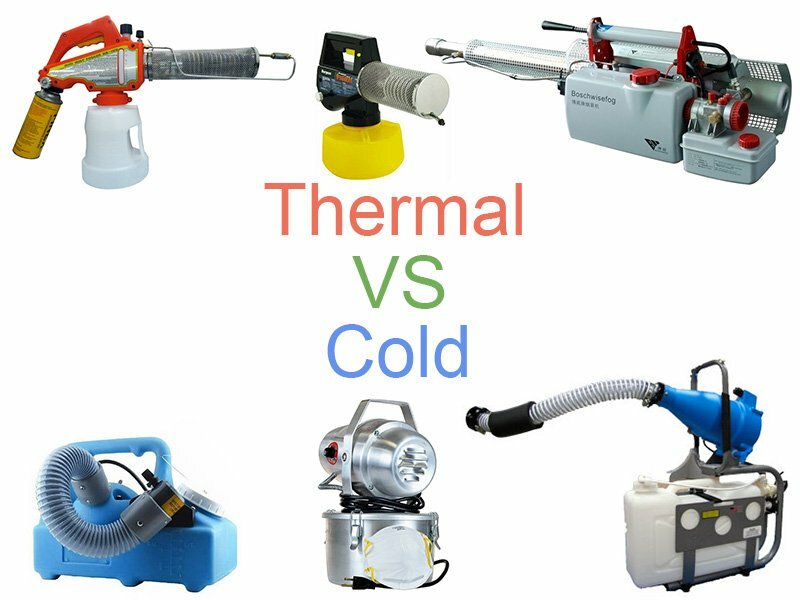 Both the ULV and the thermal fogger will be useful for pest control, especially in tropical countries. You just have to make sure that you get a fogging solution, that is suited for the pests that you want to combat. 2. It depends on what solution it is. There are some that can be used with both and some that are suited for only one type of fogger. I would recommend to check the label of the solution (on the solution bottle or on the Internet) and see what type of fogging machines it is suitable for, since that information should be mentioned somewhere. 3. Again, it depends on the solution and this information should be mentioned on the label or in the user guide if it has one. If not then I would say a gallon of solution should be enough for a 30 by 30 meter since the space isn’t that large, especially if it is an indoors space. Just remember to also check if the solution you buy can be used indoors, since there are some that can only be sprayed outdoors. If you have any more questions, don’t hesitate to use our contact form on our Contact Us page, to contact me directly. It is very knowledgeable questions and answers done by you. I have one little question, that what is the quantity of insecticides in ulv fogger sprayer in outdoor if I used 500ml of any Insectiside in 200 litter of water for one acre of land by knapsack sprayer, if I using ulv sprayer it consume only 20 litter of water for one acre. So what is the quantity of insecticides for ulv fogger . It depends on the insecticide you are using. Instructions and the insecticide to water proportions should be noted on the label of the insecticide. My wife and I have a small barn with cows that have attracted an absurd amount of flies on the property that are taking over. I bought a cheap propane fogger that only recommends an insecticide with little A.I. Can I use a higher concentration, and will it help, or is the low concentration ok. Also is there any insecticide that you would recommend that targets house flies, blow flies etc. Thanks so much. When it comes to the concentration of the solution you use with your fogger, I would stick with what the label recommends. Since a higher concentration can lead to problems like a clogged fogger or cause harm to you or your cows. 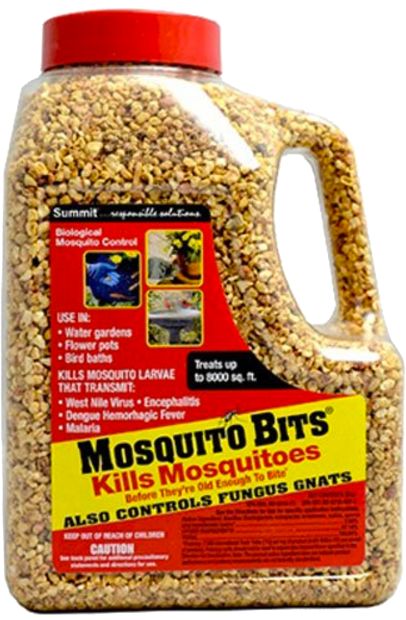 A lot of fogging solutions that target mosquitoes also are meant for killing flies. But more specifically, I’d suggest you look into ExciteR. Hi, I have just bought a thermal butane powered fogger for cinematography purposes – are there any non-toxic non dangerous solutions I can use that wont harm people or the environment and that will still produce a good amount of fog? I have read to use mineral oil but apparently that isn’t good either? Not sure what you could use instead of a fogging liquid since I haven’t used a thermal fogger for cinematography purposes. But yes, I have read as well that using mineral oil isn’t the safest. Some people recommend using either Vegetable Glycerin or Propylene Glycol instead of mineral oil since these two substances are used in electronic cigarettes so that might be an option you could look into. Or if you do decide to use mineral oil then go for the food-grade one and only use this method to create fog outdoors.